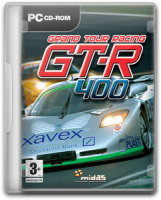 Grand Tour Racing: GT-R 400 is a GT-based racing game that originated on the Sony PlayStation 2. 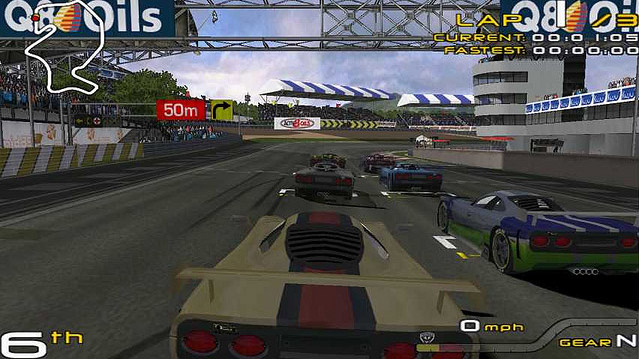 It was converted from the Kuju Entertainment original to the PC by InFusion, a team of developers who worked on "Geoff Crammond's Grand Prix 4". 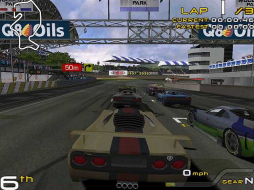 This game is a car version of "Crescent Suzuki Racing" (not "Suzuki Alstaire Extreme Racing" which is much older and madder and was created by the people who went on to make the "Burnout" series). 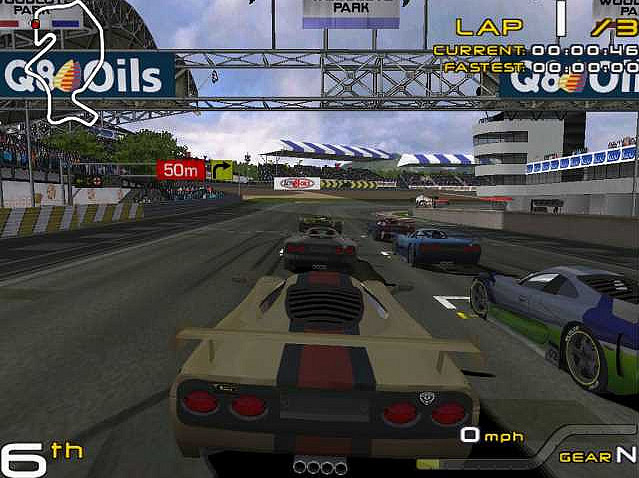 It features the same tracks and graphics which, on PC, are nicely done. The handling is predictable and learnable. The game does not allow you to choose any resolution supported by your system. You can only choose from 640x480, 800x600, 1024x768, 1280x960, 1600x1200; all 4:3 ratios. The HUD and menus are stretched. The game allows you to choose between the screen ratios 16:9 and 4:3. 16:9 chops the top and bottom off the 4:3 display. The above settings are made in-game. You can also choose to have a vertical or horizontal 2-player split-screen.